Shelan is the team captain for the wildlife team. The team consisted of David, John, and Sarah. 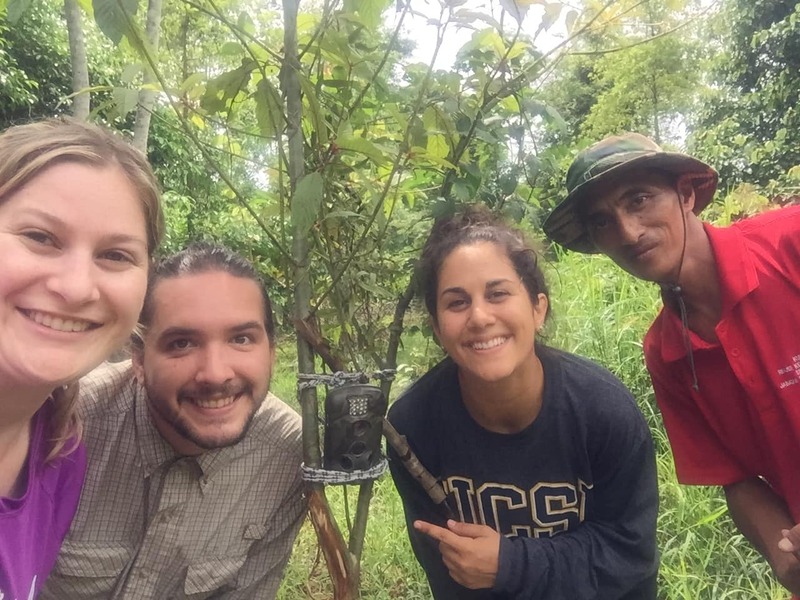 Our mission was to deploy three cameras in different areas of the rainforest. The targeted areas are within a restoration site in three different areas: a successful restoration, an unsuccessful restoration, and an untouched forest. 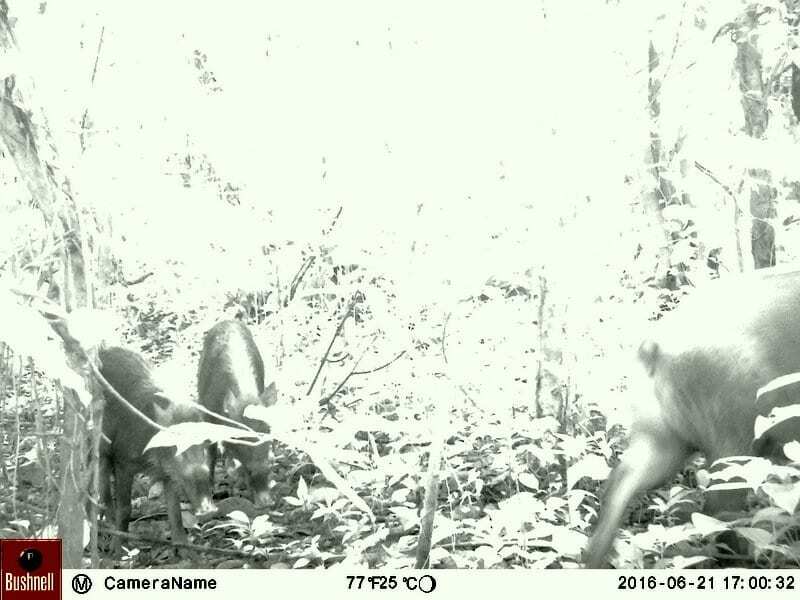 The goals of the camera traps are to see what, if any, animals are returning to a restored site and to document what animals are present. 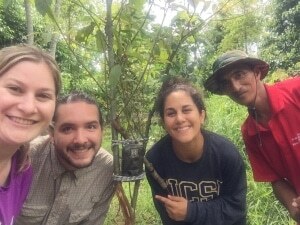 Three camera traps were deployed like this one. 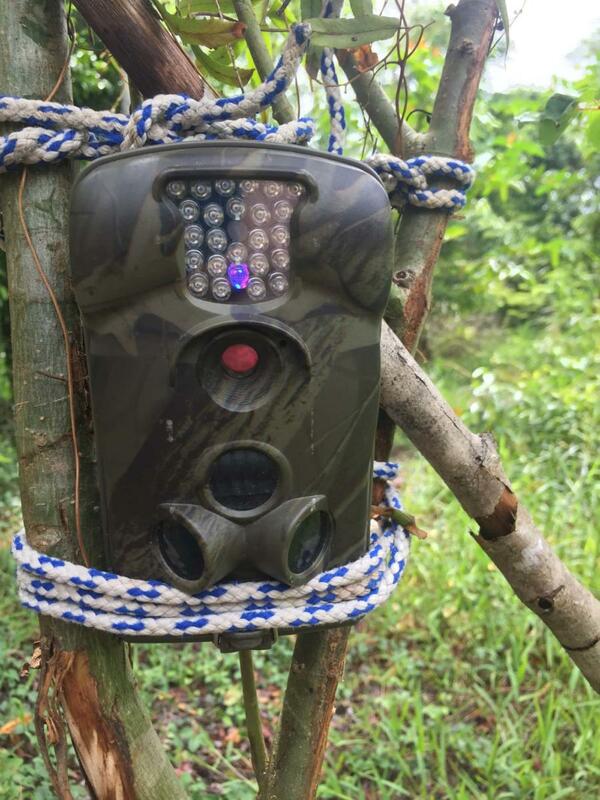 This camera trap was placed in the unsuccessful restoration site. 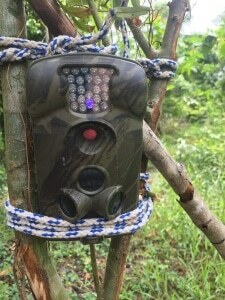 The camera trap works using motion sensors. Whenever an animal passes in front of the camera, it takes a picture and/or video. The camera that is deployed in the unsuccessful restoration site is programed to take still photos and videos. John, Shelan, and Sarah all hiked out to the site with the help of our trusted guide, Ali. We followed Ali through thick mud, under fallen trees, and through tall grass. After hiking for about 20 minutes we arrived at the site. Ali helped us find a good spot for the camera. All of us decided that a small tree by a potential wild boar trail. Hopefully, we will be able to capture some pictures of wildlife. Wildlife team from the left: Sarah, John, Shelan, and Ali. 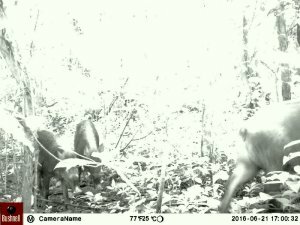 KOPEL has been monitoring wildlife using camera traps since 2013. They have many plots throughout many different types of ecosystems. They have eight cameras that are currently in operation and rotate them through different plots in many different ecosystems. They have captured images of rare species, like the clouded leopard, that was once thought to be absent from the area. Wildlife cameras are a useful tool when restoring forests to investigate the successfulness of the restoration. This photo was captured with a camera trap placed in the Eco Camp. It’s a family of pigs!